ONCHAN, ISLE OF MAN – June 7, 2018 – A new version of 70s disco classic Rasputin by England cricket legend Freddie Flintoff and Kaiser Chiefs frontman Ricky Wilson - backed by the online bookmaker BetStars, and singing the praises of star striker Harry Kane - was released today. The track, Rasputin Rebooted by The Stars House Band featuring Freddie and Ricky, is a modern re-working of Boney M’s 1978 Number 2 hit telling the story of the England captain rather than the song’s original namesake, Rasputin, the Russian mystic famous for his ability to predict the future. The track premieres today on the Stars £100m Challenge homepage, where fans can view the music video, starring Freddie, Ricky and special guests, including Fay Milton from Savages, at https://starschallenge.betstars.uk/. A thirty second preview can be accessed here. The idea for creating an anthem sprang from a wager between Freddie and BetStars during the filming of a recent advert for the Stars £100 Million Challenge, which offers customers the opportunity to win up to £100 million if they correctly predict all 64 win, lose or draw results of the World Cup. Freddie said: “When I heard that England had no official anthem, I told the BetStars team that I was gonna get a band together to create a song. Naturally they bet that I couldn’t get a star big enough and talented enough to perform the song, but that they’d back the production if I could. That’s when I rang Ricky. 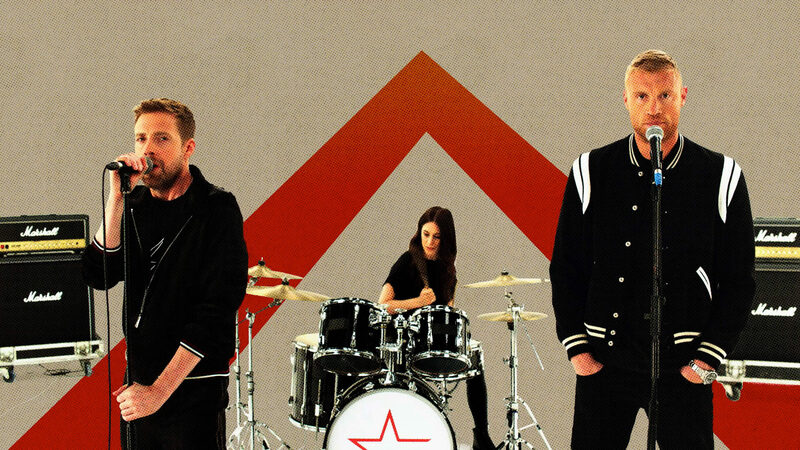 Ricky Wilson rose to fame as leader of the Kaiser Chiefs, who took their name from South African football club Kaizer Chiefs FC, the first club of ex-Leeds United captain Lucas Radebe, and has since added radio DJ and TV presenter to his resume. The new version of the track was produced by William Rees from Mystery Jets and studio Das Sausage. There lived a certain man in England long ago, He was big and strong, He played football like a pro, Defenders looked at him with terror and with fear, But to England fans he was such a lovely dear. He could lead the frontline like a fighter, Full of ecstasy and fire, But he also was the kind of striker, All teams would desire. [CHORUS] Ra Ra Rasputin, England’s got a goal machine, He’s Harry Kane and he’s gonna score. Ra Ra Rasputin, He’s captain of the England team, He’s off to Russia, to lay down the law. He could lead the line like a shooting star, In the qualifiers he was really wunderbar, When he was in the air, he was (so hard) to stop, Just remember, Gareth, to get it in the box. Meanwhile back home, England fans forever, Chant and call out his name, After fifty years of misery for England, No more shoot-out pain. [FINAL CHORUS] Ra Ra Rasputin, England’s got a goal machine, He’s off to Russia to open the score, Ha Ha Harry Kane, England’s greatest goal machine, He’s off to Moscow to lay down the law. BetStars is the European-focused online sports betting brand of The Stars Group, which operates the world’s largest online poker room, PokerStars. The sports betting service features a wide range of popular and specialist betting options, fantastic promotions and exclusive new products. BetStars is ultimately owned by The Stars Group Inc. (Nasdaq: TSG; TSX: TSGI).